On May 26, the South Korean President Moon and his North Korean counterpart Kim Jong Un held a surprise meeting at the border village of Panmunjom, during which they agreed that a U.S. — North Korea summit must be held. The "surprise meeting" was held just after U.S President Donald Trump called off the June 12 summit with Kim (on May 24), citing "tremendous anger and open hostility" from North Korea as the reason why the meeting would be inappropriate to hold. Also, according to the latest statement by US President Donald Trump - meetings between American and North Korean officials are underway simultaneously in the truce village of Panmunjom, on the North and South Korean border, and in Singapore to make arrangements for the summit to be held in the city-state on June 12. "Our United States team has arrived in North Korea to make arrangements for the Summit between Kim Jong Un and myself," Trump tweeted. "I truly believe North Korea has brilliant potential and will be a great economic and financial Nation one day. Kim Jong Un agrees with me on this. It will happen!" 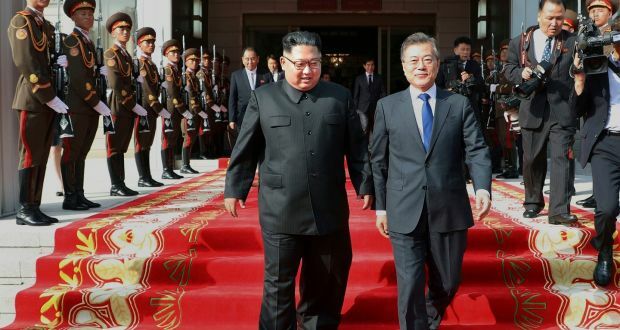 The talks are expected to continue on Monday (May 28) and Tuesday (May 29) at Tongilgak, or "Unification House," the building in the northern part of the demilitarised zone. The American delegation there is led by U.S. ambassador to the Philippines Sung Kim, a veteran of previous nuclear negotiations with North Korea. The Deputy Chief of Staff at White House, Joseph Hagin, is leading a "pre-advance" team of U.S. officials to Singapore (in parallel), to make decisions on the arrangements for the potentially historic but off-again, on-again summit between the Kim Jong-un and Trump. The North Korean delegation in Panmunjom is led by Choe Son Hui, a vice-foreign minister whom Sung Kim has dealt with many times before - most notably when she was deputy director of the North Korean Foreign Ministry's North American Affairs Bureau and was involved in the 2003 to 2009 six-party talks to denuclearize North Korea. That talks were ended with Pyongyang walking out. Singapore described the summit as "an opportunity to advance the objective of a peaceful resolution of the DPRK (North Korea) nuclear issue and the establishment of peace and stability on the Korean Peninsula and in the region." The source noted that Kim had visited Chinese President Xi Jinping in China twice in the past 40 days, signifying a thaw in relations between their two nations. 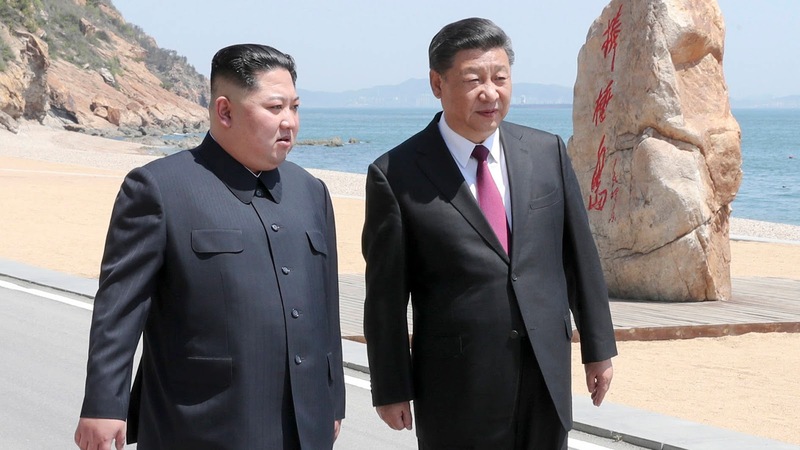 Despite being the North’s greatest ally and trade partner, China had seriously enforced sanctions in recent months, putting the squeeze on Pyongyang and, according to some, forcing Kim to entertain negotiations with Trump. Also, The White House said Trump spoke with Xi after that meeting and that the U.S. and Chinese presidents agreed to maintain economic sanctions on North Korea "until it permanently dismantles its nuclear and missile programs." The core issue between the two sides remains to "finding common ground" on denuclearization. South Korean President Moon Jae-in acknowledged Pyongyang and Washington may have differing expectations of what that means, and he urged both sides to hold working-level talks to resolve their differences. "Rapid Denuclearization" which is being demanded as per the plan revealed to House Foreign Affairs Committee by Trump administration as one of the core pre-requisites of the upcoming talks. However, The President has come forward by signaling an openness to a "phase-in" approach to complement the "Rapid Denuclearization" at the first place itself. According to ThaeYong-ho, North Korea’s former deputy ambassador to the United Kingdom defected with his family to South Korea in 2016 — Kim Jong Un is now willing to give up the "future" and the "past," but probably will work to keep what he currently has [nuclear weapons]. According to Siegfried S. Hecker, a former director of the Los Alamos weapons laboratory in New Mexico, and now a Stanford professor — the denuclearization process could take far longer up to 15 years. In his latest report, which he co-authored with Robert L. Carlin, a former CIA analyst, and State Department intelligence official and Elliot A. Serbin, a senior fellow at the Stanford center and a research assistant to Hecker. — calls for the North to join two global accords meant to halt the making of nuclear arms and the means of delivering them. "Plans are being made. Relationships are building," Trump expressed his views on diplomatic opening with the Kim regime earlier in this month. "Hopefully, a deal will happen and, with the help of China, South Korea, and Japan, a future of great prosperity and security can be achieved for everyone." 1. The U.S. has decided to hold off on implementing new sanctions push against North Korea while it looks to revive Singapore summit. 2. Former North Korea spy chief and senior official Kim Yong Chol is headed to the United States after stopping over in Beijing, presumably for talks with U.S. officials regarding upcoming Singapore Summit, South Korea's Yonhap News Agency said on Tuesday. 3. 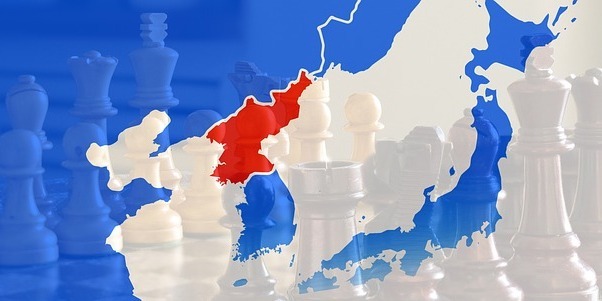 A senior South Korean official said the two Koreas are discussing a possible non-aggression pledge and the start of peace treaty talks as a way of addressing Pyongyang's security concerns ahead of US-North Korean negotiations.